At Ron Bennett Big Mens Clothing, we believe in keeping our customers up to date with all the news and information about our large range of products and services. Our blog is here to offer you an insight into what we do and provide you with tips, how to’s, interviews and articles about the plus size menswear industry. 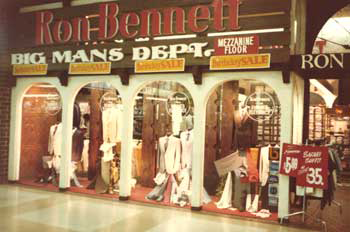 Ron Bennett Big Mens is taking yet another step forward to preserve our excellent service. Maintaining style, simplicity and satisfaction. First impressions are everything and with a stylish, comfortable look in mind, we will make that first impression the best you’ll ever have, time and time again.